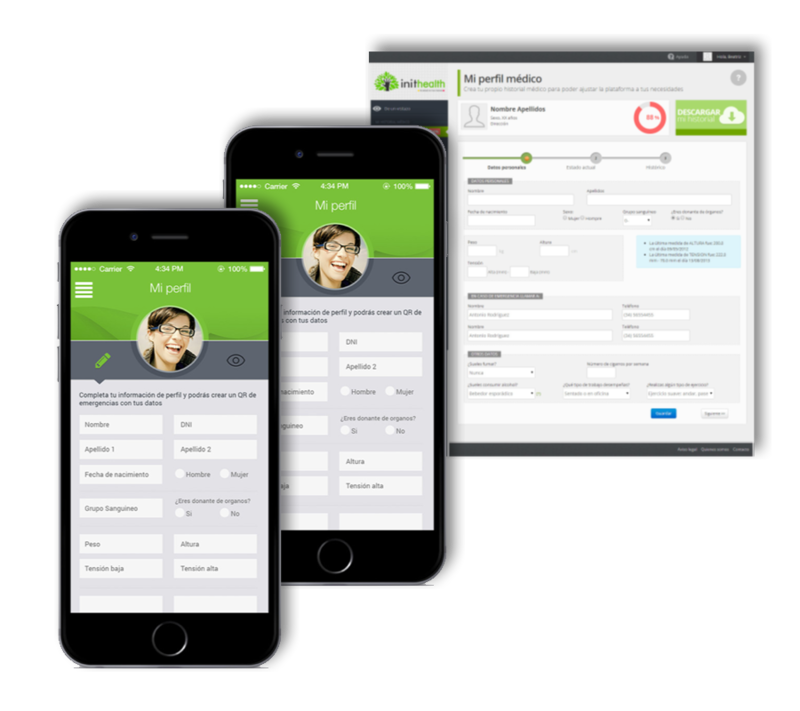 My profile allows the user to register all their information and medical history so that when needed, they and / or authorised medical staff can quickly access this basic information. 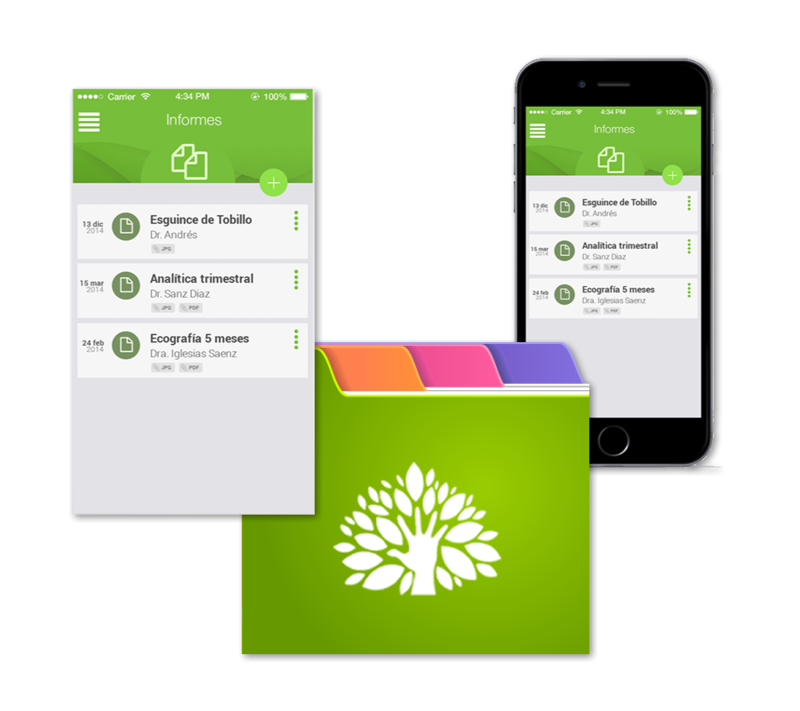 From the app you will be able to manage the same information. The user can register their treatments and medical trends and rely on them to be continually accessible and tracked at all times.  For the correct management of illnesses, inithealth uses the World Health Organisation’s international code system for CIE 10 illnesses. 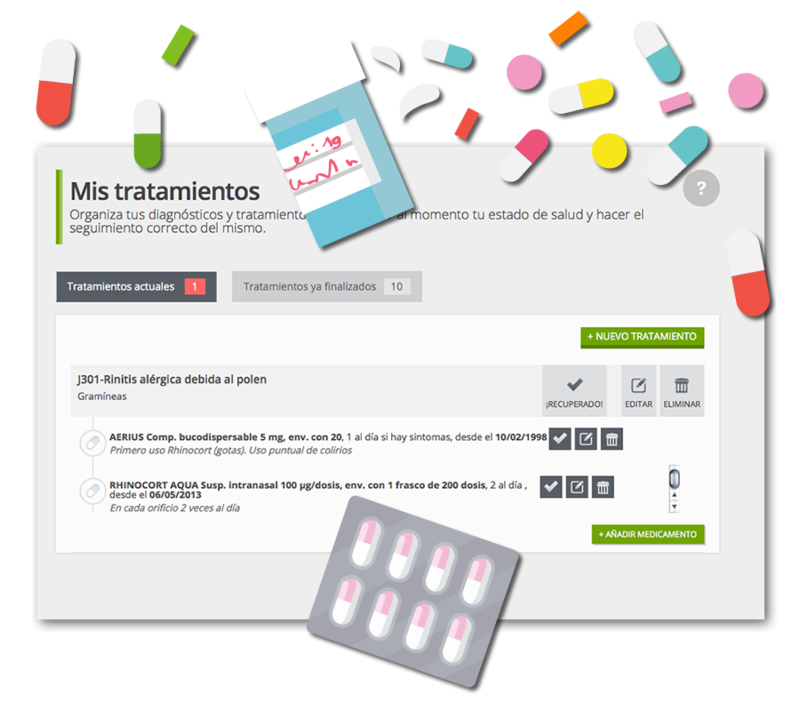 Inithealth is also in agreement with Vademecum to habilitate and permit the user access to information about all the medicine that they consume and to consult their composition. Initihealth gives warnings about drawbacks and interaction with other medicine, in no case does it automatically associate an illness with a medicine. Through this tab the user can archive all their medical information: diagnoses, check-ups, tests, etc. This way they will always have them in place, organised and accessibleat any time and place. From the mobile app, you can also upload and access the reports using the camera on the device or the image library. 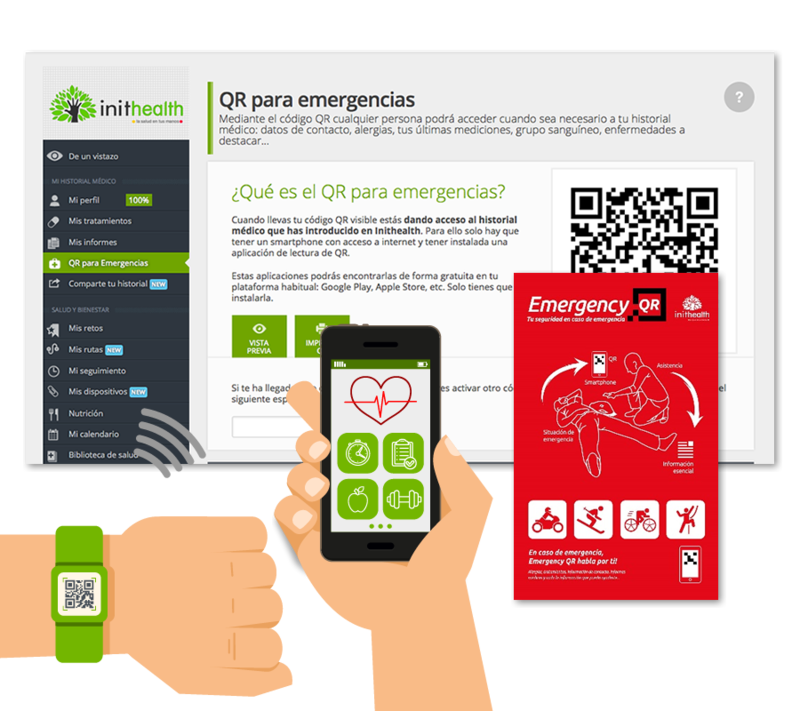 Users can manage the information shown by the QR code on the platform. This way, medical teams will be able to access your contact information, medical history, medicine intolerances, allergies or other relevant information in case of any emergency, accident while practising sport or otherwise. Simple and secure throughout. 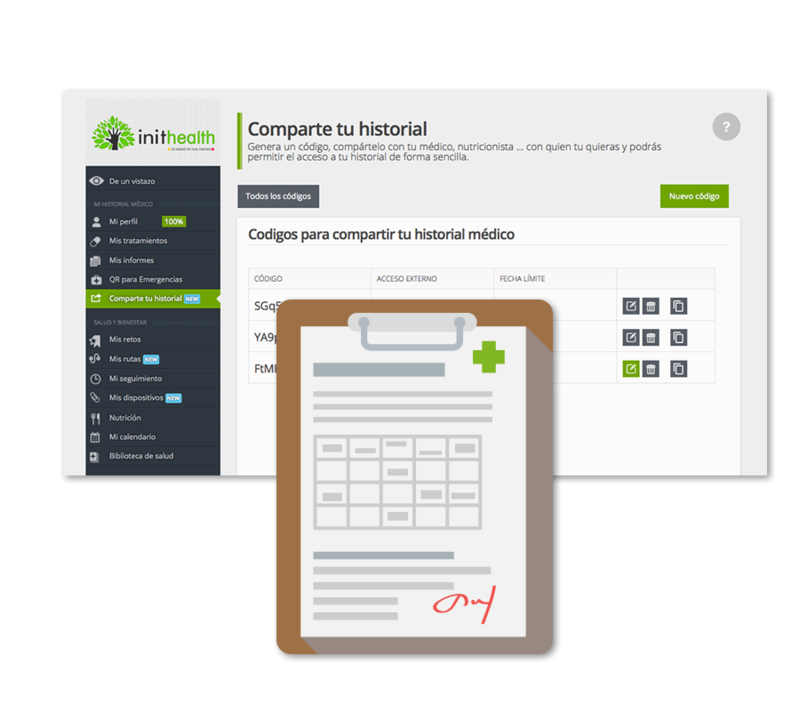 inithealth makes it possible for the user to share all or part of their medical information with a third party during a certain period of time. The system operates with the creation of independent access codes with a determined validity. The user can determine how much of their medical history is visible to the third party through the selection of different stored elements.